Pop Pop BANG! Finding Lost Fun With Popcorn (Goat Caramel Bacon Popcorn ). Katie and I made this yesterday for a pre-taste test for 4-H Fair. Katie’s dairy project this year is ‘MEXICO’ / CAJETA. We thought the popcorn was a good way for the judges to ‘experience’ cajeta! OMG!!!! We’re addicted to this special treat!!! It’s been unusually HOT HOT HOT here in Michigan, and elsewhere! I’ve been keeping a vigilant watch on all my critters! I lost my Jersey Wooly bunny (she was only five) earlier this week – I can only attribute her sudden death to heat stress? I’ve been dragging out the garden hose to water the veggie garden – a ‘downside’ to raised beds – they tend to dry out very quickly! Katie and I managed to pick the red currants for jelly making…before the wildlife got them all! I spent the evening hours de-stemming the berries (a very time-consuming undertaking, but that’s the way I prefer to prep them for my jelly). 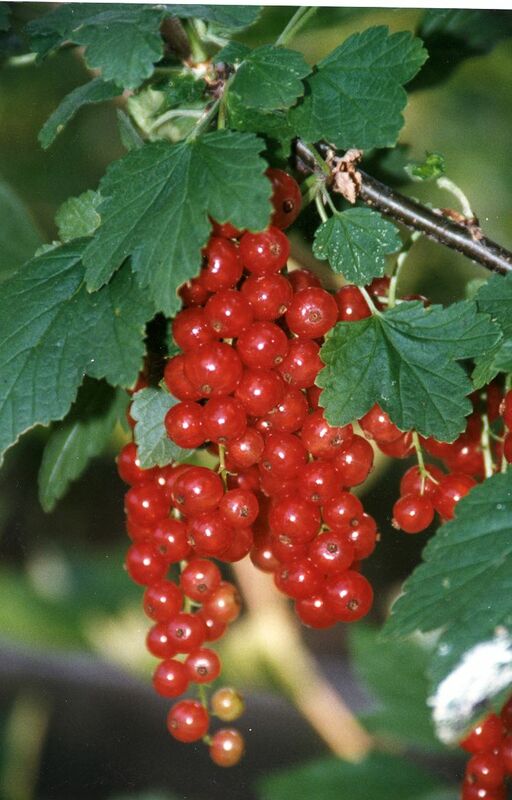 If you’re not familiar with currants, they grow in little clusters. I was able to extract enough juice to make several batches of currant jelly. However, due to time constraints, I put all the juice in the freezer…for jelly making LATER…perhaps a chore for the next rainy day? I hope it works!? I found this awesome RASPBERRY jam label in a recent issue of Flea Market Style. It’s a FREE download from Heather Bullard at www.heatherbullard.com to see more! 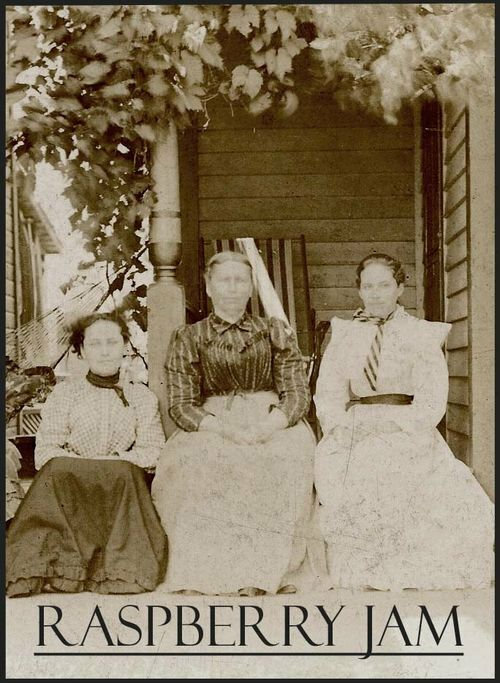 What could possibly be more FUN than a get-together with girlfriends to make farm fresh jam, pickles, cheese or whatever happens to be in season??? What’s the old saying…many hands make light work? I’ve been busy making cheese and doing a little experimenting with different cultures, pH and such. I have yet to try goat’s milk cheddar. But, more on that later. The recipe for Cajeta is quite simple. You’ll need 3 quarts goat’s milk (you may substitute fresh cow’s milk), 3 cups sugar, 1/4 – 1/2 teaspoon baking soda and 2 tablespoons corn starch (optional). Dissolve baking soda and corn starch into 1 cup milk and stir well to dissolve lumps. Add this to rest of milk and add sugar. Bring mixture to the boiling point, stirring constantly. Reduce heat to low simmer and stir every 15 minutes or so until mixture is thick and looks like caramel sauce (several HOURS). Pour into clean jars, cool and refrigerate. Note: Jars may be further processed in a hot water bath. Tighten lids and rings and boil in hot water bath for 20 minutes. Remove from water bath and allow to cool undisturbed for 24 hours. 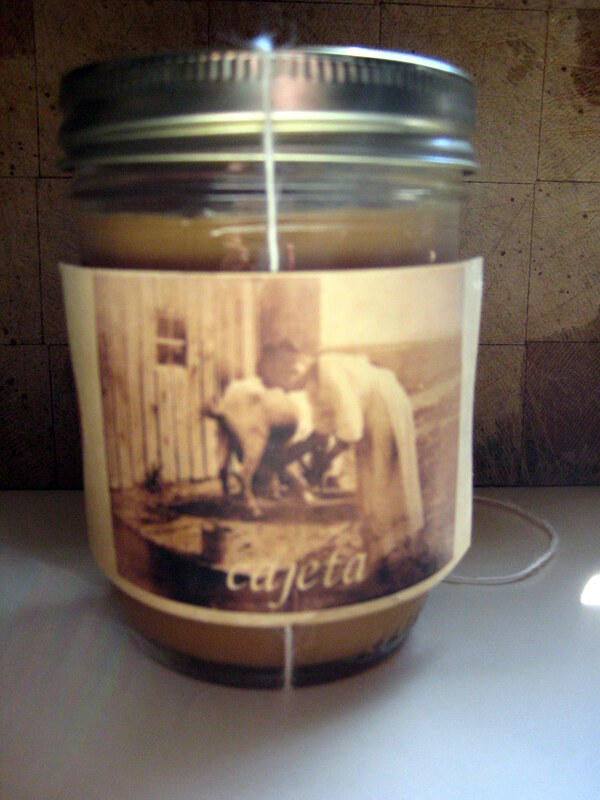 Here’s my ‘finished’ jar of Cajeta…recipe included on back of tag…inspired by Heather!